Renew your membership or join the Galion Alumni Association for the first time and you may win an Individual Lifetime Membership worth $300.00. Read the complete article to see the requirements for being entered. It’s that time of year. Time to start thinking about joining or renewing your membership in the Galion Alumni Association. Annual memberships are good from January 1st to December 31st of the year for which the membership is purchased. An organization is only as good as the membership of that organization. It is through your dues that the Association is able to continue to provide services to the Galion City Schools, alumni and the Galion Community. All dues are used to cover projects, expenses and services. There are no wages paid to the people that manage the operation of the Galion Alumni Association. 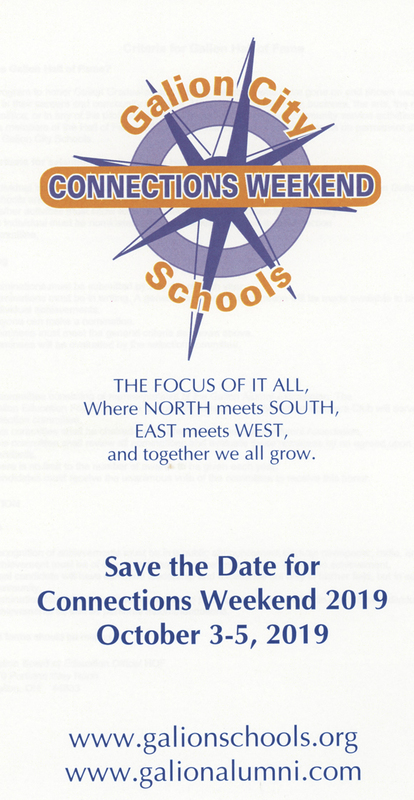 We are a volunteer non-profit organization dedicated to serving the alumni (past, present and future) of Galion City Schools. Some of the expenses currently funded by membership dues are website server costs, printing, stationary and postage costs for mailings, space fees for fund raisers and partial funding of projects. The Alumni Association is dependent on membership dues to remain an active organization. To continue to provide these services, we need as many dues paying members as possible. You can help make a difference by joining our group of Galion City School students past and present, spouses, parents, staff and interested community citizens and businesses. 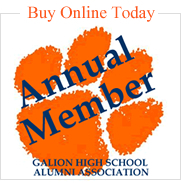 As an added incentive to become a member of the Galion Alumni Association, we are going to award an Individual Lifetime Membership to one person purchasing an annual membership by June 1, 2008. This membership will be awarded by drawing a name from a list of individuals who have become members of the Association, Individual or couple, for the 2008 calendar year. Please join now!